Rome is my beloved home away from home. I lived in Rome as a college student and then as a young working woman. Though I eventually moved back to my hometown of Chicago, Rome is always in my heart, and I visit whenever I can. One of the biggest delights of my life has been sharing the eternal city with my two kids. 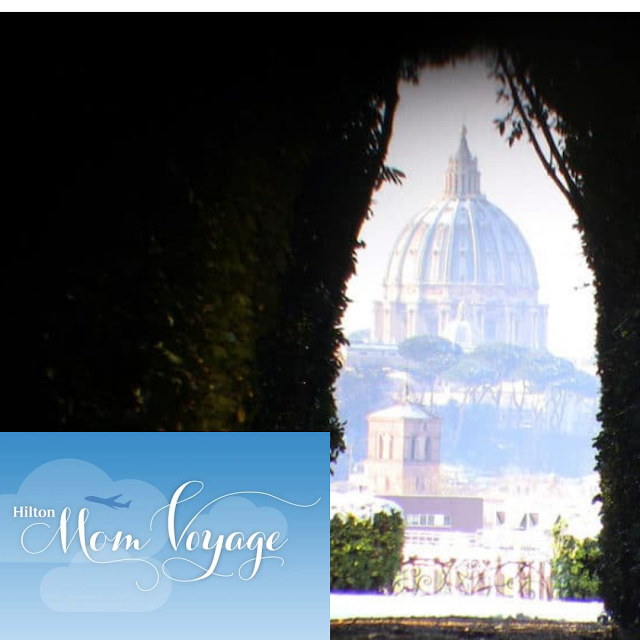 Family and friends often ask me to share my picks for the best of Rome, and having just visited recently, I’m happy to share my list of the top things to do in Rome, Italy with kids (in addition to all the standard stuff like the Vatican Museum, Foro Romano, etc.). 1. Walk around the Fontana della Tartarughe three times, just because. 2. Sip a limonata in a grand, glorious piazza. Every day. Piazza del Popolo, Piazza del Pantheon…there are so many to choose from. Pick a piazza and settle into a café for an afternoon drink with a view. Ask for some salatine (salty little treats, usually mini pretzels or peanuts). 3. Insert a coin to see one of Caravaggio’s paintings illuminated. The best place to find Caravaggios in Rome is in the small church of San Luigi dei Francesi near Piazza Navona. Inside in the Contarelli Chapel you can see the master’s Saint Matthew cycle: The Calling of Saint Matthew, Inspiration of Saint Matthew, and The Martyrdom of Saint Matthew. Entrance to the church is free, though it will cost you a few euros to activate the lights to view the paintings. 4. See an opera at the Terme di Caracalla. 5. Cross the Ponte Sisto from Campo dei Fiori into Trastevere. 7. Walk down the Spanish Steps from the Trinita dei Monti church to Piazza di Spagna in a pretty dress. Find that dress in one of the many boutiques in Via dei Condotti. 8. Eat an entire pizza. You don’t share pizza in Italy. Eat it with a fork, a knife and a beer. Try Dar Poeta. 9. Buy a bouquet of flowers for your lover (or yourself!) at the Campo dei Fiori morning market. Brighten up your hotel room the Roman way. Later in the day, sip a glass of wine barside at the Vineria in Campo dei Fiori. Vineria Reggio is at #14 in the piazza. Pay homage to Giodano Bruno, the man burned at the stake here, memorialized in statue at the piazza’s center. 10. Find the giant marble foot on Via del Pie di Marmo (Marble Foot Street). 12. Ride on the back of a Vespa holding on tightly to a cute Italian. Or rent a Vespa. I recommend Rome for You (Vicolo S. Nicola De Cesarini, 4; +390645437855; romeforyou.net). Renting a Vespa is one of my top things to do in Rome, Italy with kids! 13. Eat a scoop of gelato every day. Consider it a daily vitamin pill. I recommend Cremeria Monteforte (Via della Rotonda 22), located on the street running along the right side of the Pantheon. My kids love Della Palma (Via della Maddalena, 19-23) for its wide selection of flavors. 14. Explore a less touristy neighborhood. Try Testaccio or San Lorenzo. 15. Go back in time on the Rome Time Elevator. If you have kids, step aboard the Rome Time Elevator (Via dei SS. Apostoli, 20; 39-06-97746243). It’s a super cheesy, 45-minute panoramic movie that highlights Roman history with special effects (think moving seats and steam). I loved the way it summed up Roman history for kids and set the stage for 1,000 questions (“Mom, why did Nero laugh when the city was burning down?”) that could be explored and answered during the rest of our stay. 16. Wander Via Appia Antica. An entire day should be devoted to the Via Appia Antica. Go down deep into the catacombs of San Callisto. Meander down the Via Appia Antica, stopping for panini at the Bar Appia Antica (on the corner of Via Cecilia Metella and Via Appia Antica; 338-3465440). To get there, take the metro or bus to Piramide, then take the bumbling bus 118 on to the Catacombs of St. Callisto. Be on the lookout for Dante (usually found near the entrance to the Circus of Maxentius), he’s the man that sets up a small table selling handmade flute-like instruments for calling sheep, an inexpensive, musical souvenir. 17. See the Trevi Fountain in the wee hours of the morning. Watch La Dolce Vita pre-trip for a little inspiration. Throw a coin in to ensure a return to Rome. Make a wish. 18. Attend mass at St. Peter’s. 19. Go to the crypt of St. Clement’s and get to know Mithras. 20. Head to the tippy top of Castel Sant’Angelo on a starry night. Castel Sant’Angelo (Lungotevere Castello, 50; 066-819111), which was built by the Emperor Hadrian (117-138) as a mausoleum for himself then later converted to a fortress, is a child’s dream. Scale the 400-feet long winding ramp to the top level, where you’ll find an angelic messenger about to take flight. Each summer, Castel Sant’Angelo stays open into the late evening hours for magic shows, mock sword fights, and musical performances. Nothing beats the view from the top on a starry night. 21. Spend a perfect afternoon in Villa Borghese. The best way to get there is to climb up the monumental 138 Spanish Steps from the Piazza di Spagna, to the Trinità dei Monti church above. 22. Drink some water from La Barcaccia aka The Ugly Boat, a rowboat-like fountain at the foot of the Spanish Steps, attributed to Pietro Bernini, father of his more famous son Gian Lorenzo. The hundreds of fountains, aka nasoni (big noses) because of the shape of their spouts, populate Rome and flow with some of the best water in the world, so drink up! Bring a reusable water bottle to Rome and you’ll never have to spend a cent on bottled water. The environment will thank you, too. 23. Eat a slice of watermelon on the Lungotevere overlooking the Tiber River. Cross the Ponte Garibaldi into Trastevere and you’ll see a stand on the Lungotevere Raffaele Sanzio. Grab a slice of fresh watermelon, and watch the world go by on the Lungotevere. 24. Walk through the gardens above the city, and count the hundreds of domes that dot the skyline, on Pincio, the area overlooking Piazza del Popolo. Here you’ll find a tiny amusement park for children, including a small merry-go-round where children can indulge their vespa-riding fantasies. Rent bicycles or a surrey and explore the landscaped gardens. In the summer months, take in a puppet show at the Teatro Stabile San Carlino, which features classic shows with favorite puppets such as Pulcinella and Arlecchino. 25. Wheel and deal at Porta Portese. Sunday mornings in Rome are not complete without a trip to Porta Portese, the largest and most popular weekly street market in the city. You can find anything at here, from giant lion-headed door knockers to glittery costume jewelry, vintage postcards, dish soap, parakeets, sundresses, toy trucks and baby buggies. Anything. Be careful of pickpockets and don’t bring too much cash. Let your kids get a true taste of Italy by letting them bargain for their own souvenirs. 27. Test your truth-telling ability. Plan to arrive at the Bocca della Verita before it opens at 9:30 am to avoid the long line. Afterwards, head into the adjacent church, Santa Maria in Cosmedin. Look for the altar to St. Valentine; his skull is encased in a gold box above the candles. 28. Eat a tartufo in Piazza Navona. Grab a seat at the piazza-side cafe Tre Scalini. Their specialty is Il Tartufo which is a ball-shaped chocolate ice cream cake topped with whipped cream and a cookie. 29. Spend a day swimming at the luxurious pools of the Rome Cavalieri. Set atop Monte Mario, the highest hill of the seven hills of Rome, the Rome Cavalieri is the first Hotel in Europe to be part of the exclusive Waldorf Astoria Hotels & Resorts. As the preeminent luxury hotel in Rome, it possesses an art collection that rivals many museums, a stunning ancient Roman style Grand Spa three outdoor pools that are feature marvelous, panoramic views of Rome as a backdrop. 30. Contemplate the swift passage of time and seize the day. Older kids will be impressed by the Capuchin Crypt beneath the Capuchin Church of the Immaculate Conception (1645), located on Via Veneto, near Barberini Square. The entire crypt is adorned with the bones of over 4,000 monks. A large clock is impressively composed of vertebrae, foot and finger bones. The cheery message posted in the last room, “What you are now, we used to be. What we are now, you will be.” reminds me, as Rome always does, that we are just tiny grains in the sand of time. Enjoy today and appreciate the gift of life. Carpe Diem.